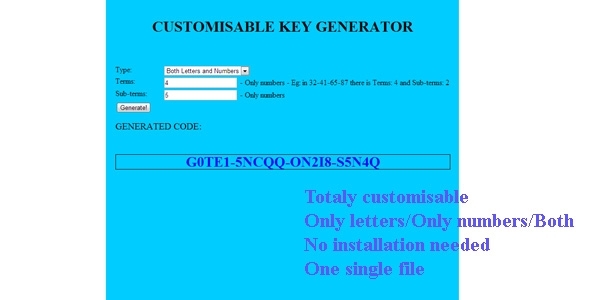 Key generator: Totally customisable key generator, type of result(letters/numbers/both), no installation needed, single file. Can be used as Password generator! Do you have any comment or questions about artur99 file?